Carolina Panthers coach Ron Rivera believes that with Baker Mayfield and Myles Garrett, the Cleveland Browns are "the team of the future." CLEVELAND -- In preparation for Sunday’s game in Cleveland, the Carolina Panthers are looking past the Cleveland Browns’ 4-7-1 record and focusing on why the team has made strides toward building a culture of success after just one playoff appearance and two winning seasons since returning to the NFL in 1999. And the Panthers did not have to look far, as the Browns have selected pass-rushing defensive end Myles Garrett and quarterback Baker Mayfield with the No. 1 overall picks in the 2017 and 2018 NFL drafts, respectively. 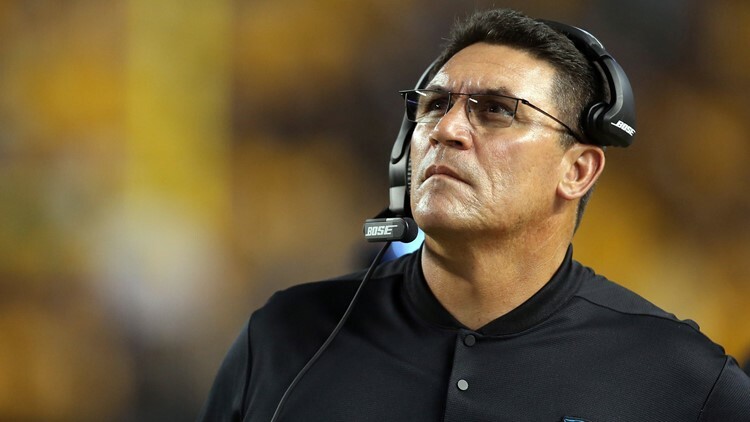 “This is what, I think, is the team of the future because of the way that they have drafted the last couple of years,” Panthers coach Ron Rivera said in a conference call with the Cleveland media Wednesday. 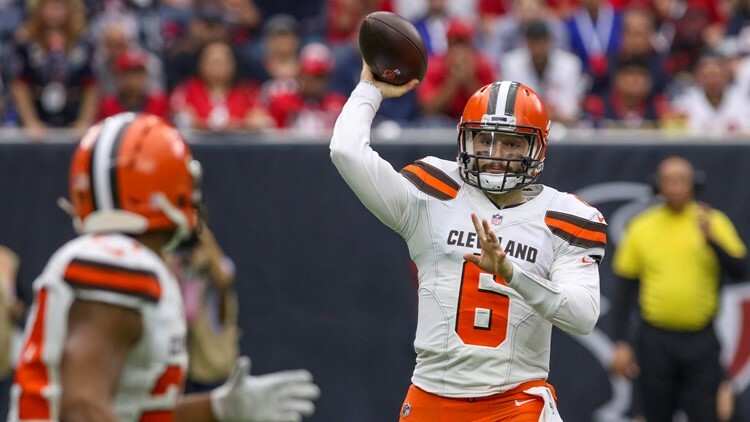 Cleveland Browns quarterback Baker Mayfield (6) attempts a pass during the first quarter against the Houston Texans at NRG Stadium in Houston. During the first half of last week’s 29-13 loss to the Houston Texans at NRG Stadium in Houston, Mayfield completed just five of his 13 attempts for 46 yards with three interceptions, but he had a strong finish to the game. Mayfield shook off the turnover-plagued first half during the halftime break and finished the game 29 of 43 for 397 yards and one touchdown, a 17-yard scoring pass to wide receiver Rashard “Hollywood” Higgins late in the fourth quarter. In the second half, Mayfield completed 24 of his 30 throws for 351 yards and the one touchdown without a turnover. Cleveland Browns quarterback Baker Mayfield (6) throws a pass to running back Nick Chubb (24) during the second quarter against the Houston Texans at NRG Stadium in Houston. 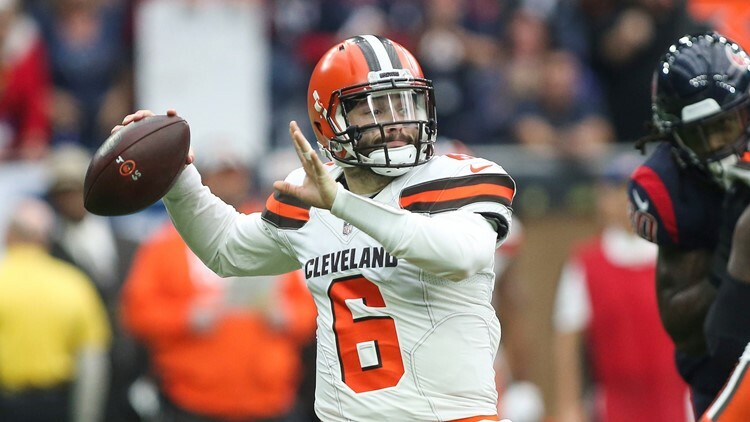 Since taking over the starting job midway through Week 3, Mayfield has completed 224 of his 354 attempts (63.3 percent) for 2,639 yards and 18 touchdowns against 10 interceptions and posted a 91.1 quarterback rating, all while being sacked 22 times. Additionally, Mayfield has registered 107 yards on 25 carries. 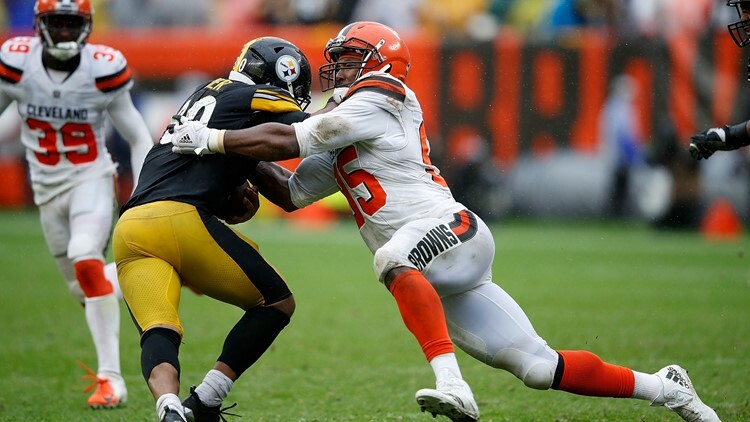 Pittsburgh Steelers quarterback Ben Roethlisberger (7) is sacked by Cleveland Browns defensive lineman Myles Garrett (95) during the first quarter at Heinz Field in Pittsburgh. Now in his second season, Garrett has registered 32 total tackles, including 26 solo stops, and of those 32 plays, 11.5 have been sacks on opposing quarterbacks for 73.5 lost yards. 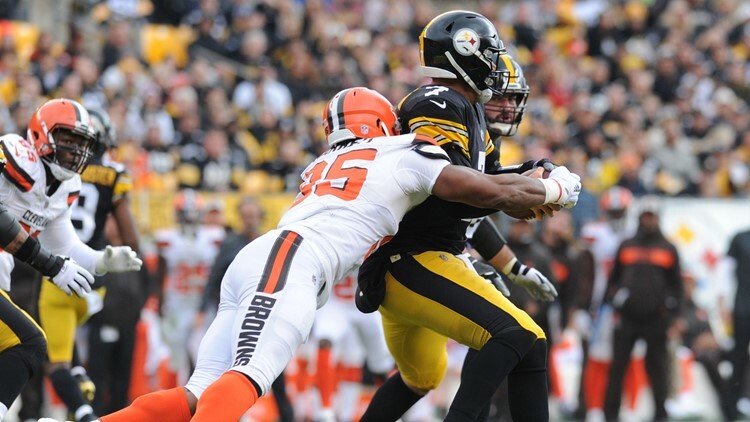 The NFL's senior vice president of officiating said Monday that Cleveland Browns defensive end Myles Garrett should not have been penalized for roughing the passer on Pittsburgh Steelers quarterback Ben Roethlisberger in Sunday's 21-21 tie. Currently, with 18.5 sacks since being selected No. 1 in 2017, Garrett has registered the most sacks by a Brown in the first 23 games of his career and is tied for the most by a defender in the first two seasons of his career. Garrett is tied for fourth in the NFL with the 11.5 sacks and is among the NFL’s leaders in forced fumbles. “The explosive athleticism, that is probably the biggest thing that you see,” Rivera said when comparing Garrett to Panthers defensive end Julius Peppers.